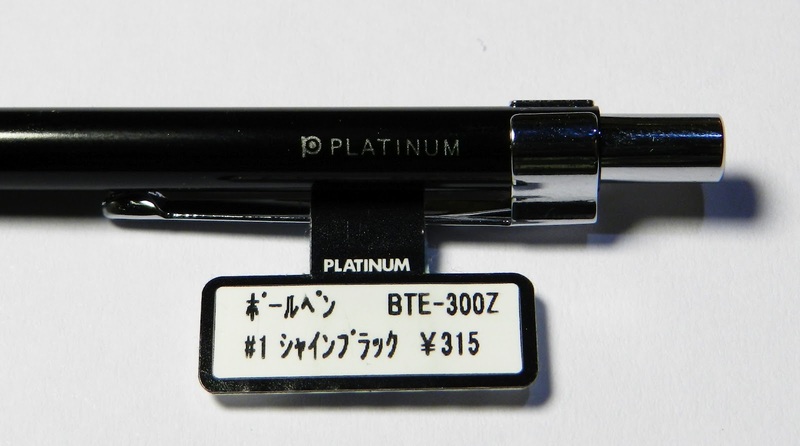 I started the written review by stating that this is the first Platinum product I have used, which is not true; I forgot that Platinum made the ever so popular Preppy fountain pen. I don't like the standard ballpoint refill that came with the pen, but it looks as if it might be able to accommodate several other refill sizes (once they are cut to size). I was able to get a Dr. Grip refill - model BRFS2 - and it is far more enjoyable with larger diameter replacement refill. 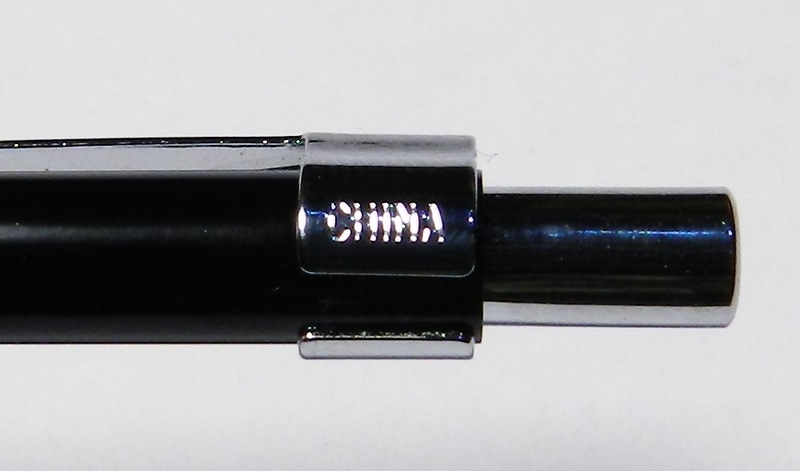 The .5 that comes with the pen shows light grey rather than black, but it is very clean and precise. The branding on the pen is minimal, though there is not much space to work with given the narrow barrel. I like the shiny metal clip and push mechanism against the black barrel. The overall look is classy and professional. Platinum is a Japanese company, but this pen is made in China, which is often a bad sign in terms of the quality comparison. I don't know if there is also a Japanese-made version, but everything on this pen seems solid. I will have to carry this one around for a while to see if it is adequate for continuous pocket/every-day carry. The end is a standard metal conical tip, and the refill is replaced by unscrewing the tip section - rather than at the retractable mechanism. It's difficult to get an accurate picture of a clip that is so shiny, especially with the light I use, but you can see that it is somewhat of an Art Deco appearance. As for size, it's not much bigger than a Fisher Space Pen (matte black, bullet version). The Fisher Space Pen is a far superior every day carry instrument, but is has a utilitarian look and is 2-3x the price. If you want something to tuck in your planner or notebook that looks more refined, then the Platinum might be a good choice for you.